Search Results for "soap opera"
a glowing radio with the marker running through the different stations and frequencies. Soap opera animated word cloud, text design animation. Kinetic typography. Beautiful girlriends watch soap opera on TV. Girls smile and laugh enjoying emotional romantic movie 4K slow motion. Beautiful ladies watch romantic comedy on TV. Young Caucasian girls watching melodrama film, eat popcorn. Hen party 4K. European girls watch funny sitcom episode on TV. 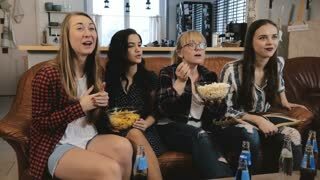 Female friends smile and discuss emotion romantic movie 4K slow motion. Vintage Radio Dial with the Stations and Frequencies being Tuned. Soap opera animated word cloud, text design animation.